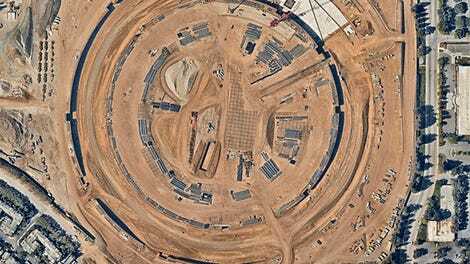 Apple’s has been building its huge new “spaceship” campus for some time now, but the most recent drone video showing off the latest construction really makes you realize how huge this thing is. It was hard to grasp the size beforehand, but the latest footage does a good job of showing off how massive this new campus will be. The campus costs a cool $5 billion, which is only about $1 billion over the original budget. This latest video shows the underground auditorium which will be used to show off new products. 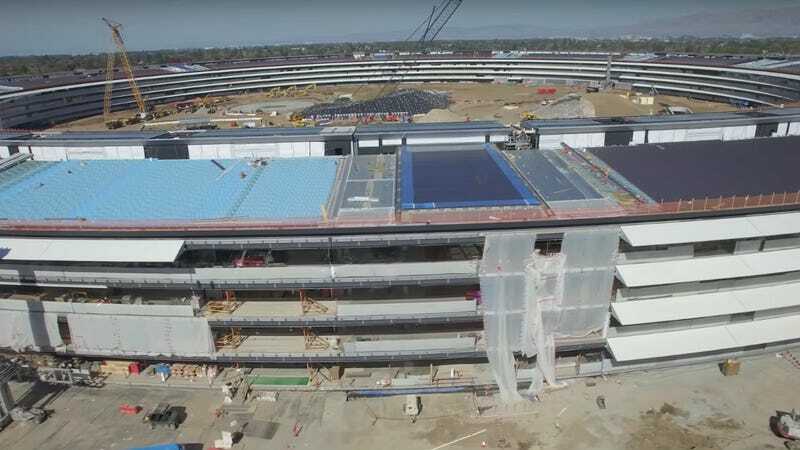 It also shows about half the massive amount of solar panels Apple plans to integrate into its campus. What’s especially impressive is that we can’t even see the massive underground parking garage, which will have space for 11,000 cars. Imagine getting lost in there at night.